Are you looking to transform your home by adding a place to relax that is comfortable and provides much in the way of peace and quiet? If so, an orangery could very well be the answer you are looking for. Here at Clear View, we take great pride in designing and manufacturing orangeries Barnsley will simply adore. If you would like to discuss your requirements in more detail, give us a call now on 0800 1357 167. From the 17th century onwards, it was not uncommon for properties to be constructed with orangeries – purpose-built rooms which were used to store orange and other fruit trees during the winter. While no longer used for this purpose, orangeries are now favoured more as a place in which to kick back and relax. Here at Clear View, we design and create some of the finest orangeries Barnsley has seen. Whether you’re looking for a place to entertain friends and family or somewhere to relax with a book and a drink on a warm summer’s day, we’re sure to be able to accommodate you. Barnsley, orangeries are an excellent way to let loose your creativity. From classic to modern or contemporary, we infuse every orangery that we create with the personality and character indicative of the owner. By choosing Clear View, you’ll be left with something that is truly unique and encapsulates both your requirements and chosen style. To find out more about our orangeries, Barnsley can either give us a call or continue reading below. How Can Clear View Be of Assistance? 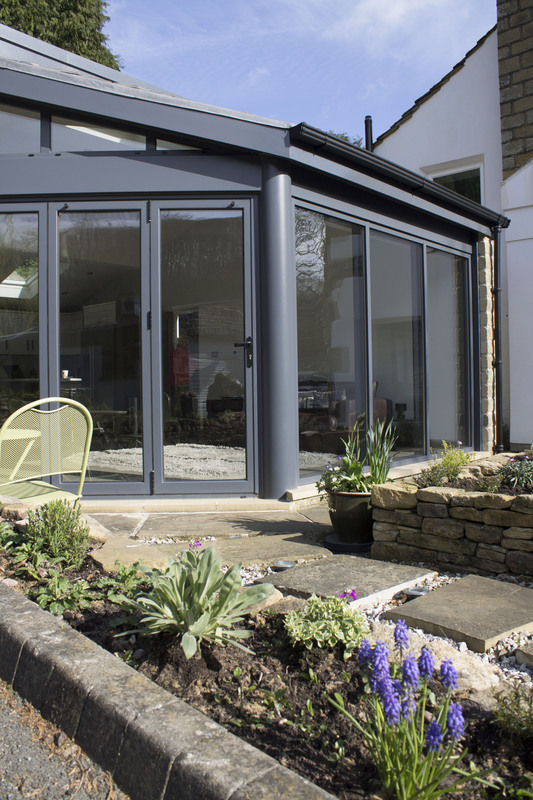 At Clear View, we can provide orangeries that incorporate sliding, bi-folding and patio doors made from the highest quality aluminium. These doors are sturdy, lightweight and reliable and look incredibly stylish. Aluminium windows are, of course, available as well to give your new orangery a truly impressive look and feel. All orangeries in Barnsley are built with a brick base, flat perimeter roof and a central roof lantern that provides ample illumination. Our team will work closely with you from start-to-finish to carefully design an orangery that meets your exacting specifications. As the best choice for orangeries Barnsley has to offer, we leave no stone unturned and will always listen to your ideas and requests. Once a design has been drawn up, you’ll be supplied with a fully itemised quotation with no obligation to commit. So, if you’d like to discuss our services in more detail, give Clear View a call now. As the leading choice for orangeries, Barnsley will be hard-pressed to find a better service anywhere else. 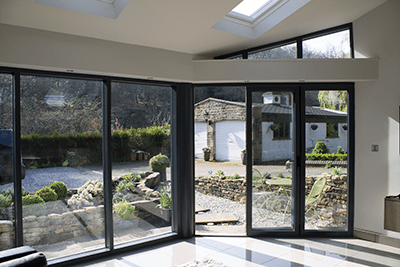 Why Choose Us for Orangeries Barnsley? 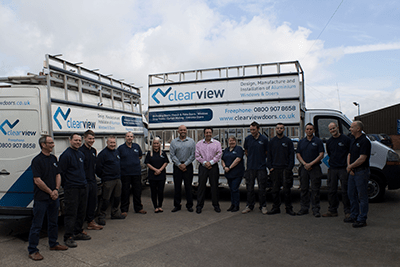 Welcome to Clear View, where with ten years of experience to call upon, we’re the leading choice for those seeking doors, windows, orangeries and roof systems. Our highly qualified team of engineers boast an outstanding reputation and are highly sought-after for those looking to orangeries in Barnsley to their homes. All of our products are manufactured in-house and are fully guaranteed for your peace of mind. Our team are all fully insured, so you can rest assured that your project is in safe and capable hands with our creative design team. We never use subcontractors, and all of our products are manufactured with the highest quality standards in mind. If you would like to see for yourself precisely the sort of quality that we offer, visit our showroom today in Huddersfield. You’re welcome to drop by during business hours (Mon – Fri, 08:00 – 17.00 or Sat, 09.00 – 12.00) or arrange an appointment out of hours. One conversation, and you’ll soon realise why we’re the leading choice for Barnsley orangeries. To discuss your ideas in more detail, give us a call on the number below. Call our orangeries Barnsley team today on 0800 1357 167 and see what we can do for you.